Are you looking for an excellent property manager in Redmond? Great, because you have arrived at the right place! Established in 1996, T-Square Properties offers top-of-the-line services in property management in Redmond and its surrounding areas of Seattle, Bothell, Marysville, Everett, Mill Creek. Bellevue and many other cities in the state of Washington. A full-service property management company, we manage a wide variety of properties, from commercial properties and multiplexes, to single and multi-unit residential homes and even condos and town houses. Regardless of whether you are based in Washington, or are an out of state investor, our property managers are always there to help. We have a highly-qualified professional team which uses their extensive experience and expertise to ensure that your rental property is being properly taken care of and that you get the best returns out of your investment. Read on to find out more about the services we offer and book your free consultation by giving us a call today! Here at T-Square Properties, we have a team of professional property managers whose sole aim is to ensure that you get the best returns on your Redmond investment property, without you having to spend all the time and effort behind it. With us managing your rental property, you will be totally at ease, knowing full well that your prized investment is in safe hands, who handle your property as if it were their own. With decades of experience behind them in managing property in Washington, our property management team uses its vast knowledge and expertise to aid you in reaching your financial milestones, in turn helping you free-up your time. As a result, you don’t have to be the “busy landlord,” and can spend your valuable time doing whatever it is you would rather be doing. As your property manager in Redmond and its environs, our sole aim is to maintain your investment property, find high quality tenants to keep it occupied, collect the rents, budget the improvements and keep the records well-maintained. No matter what aspect of property management – you name it, we do it! Any property, when vacant, generates costs but does not generate any revenues, which is bad for business. Keeping this in mind, we strive to take every possible action to keep your property occupied by tenants at any point of time. From putting special marketing programs and promotions in force, to bringing in new and innovative advertising strategies, and even placing attractive yard signs saying “For Rent” to attract the attention of passers-by, we leave no stone unturned. Troublesome tenants often cause a loss of both time as well as income. Which is why we put all prospective tenants through a thorough screening system before we hand your rental property’s keys over to them. Doing so reduces, if not completely eliminates, the chance of having to deal with difficult tenants and its aftermath. Late and/or missing rent payments are often the main cause of setbacks. Our professional-yet-strict collection policy ensures every tenant pays their month’s rent on time. In order to give our tenants convenience and avoid missed and late payments, we have made it possible for the monthly rent to be paid via an automatic monthly payment system that can be easily operated online. We conduct regular inspections of your property to ensure that it always remains in peak condition. Other than conducting move-in, periodic, and move-out inspections, we also conduct surprise inspections to verify that everything is being kept in its place and that the tenants are upholding the terms of the lease. The physical structure of a property (i.e. the landscaping, electrical, plumbing, walls, appliances, pools etc) is not only complex, it also differs from state-to-state and from one climate to another. We make sure to keep good relations with repair companies and contractors, and to that end make use of our volume to get the best-possible services at most affordable rates. We strive to protect your investment’s value by maintaining the capital expenditure budget and monitoring the quality of every maintenance and repair work. To keep away from becoming a liability, any property must uphold all the listed norms and requirements laid down by the local, state and Federal governments. This includes several things, from escrow management, maintenance of operating licenses for the county, to keeping meticulous records of tax payments and accounting, among others. Furthermore, all tenant activities and interactions must also be recorded and stored carefully for specific periods. For financial functions, several states have specific requirements in place to handle funds paid by the renters for disbursement to the owners. At T-Square Properties, we are extremely proud to meet all requirements for state licensing to manage your rental investment properties. Evicting tenants can be a rough process. With a thorough understanding of Washington state laws in relation to eviction, we see to it that every tenant upholds the terms of the lease. In case they fail to do so, our staff will take every required step to reduce your costs and have a new tenant occupy the place. 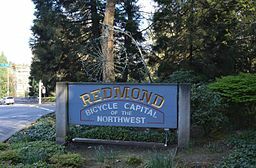 Seated sixteen miles east of Seattle in King County, is the “Bicycle Capital of the Northwest,” Redmond City. Redmond, Wa comprises of over seventeen square miles, which hosts close to sixty thousand residents. Consequently, it is the seventh most populous city in the County. The town takes pride in offering high-quality a lifestyle, award winning schools, a vibrant and healthy economy, famed shopping and dining establishments, safe neighborhoods, as well as tons of recreational opportunities. Thanks to its excellent qualities Redmond Washington has bagged numerous accolades and awards. These include; the best place to raise a family, the happiest town in Washington, the best place in Washington to start a business, and one of the top five safest places to stay. Redmond, WA’s history records back to 1871, where the first pioneers settled in the fertile basin. They christened the settlement “Salmonberg,” because the Sammamish River had a plentiful supply of salmons. The mainstay for the natives at that time was logging, which pulled many loggers to the area. The settlement quickly transformed into a rollicking town characterized by lumber and shingle mills, blacksmiths, eateries, hotels, salons, a stagecoach office as well as the Seattle Lake Shore & Eastern Railway. Business was thriving so well to the extent that Redmond incorporated in 1912 just to tax the traders. Logging, however, did not last long. In the 1920’s after the virgin forests got exhausted, the population of about three hundred residents had to embrace agriculture. Farmers reared dairy cattle, chicken, and planted crops. The farming industry was a success, resulting in an increase in population, new buildings, automobiles and even the construction of the first two-story brick schoolhouse. From the times of its incorporation to date, Redmond, WA has withstood a natural progression of reliable road networks, commercial growth, and a welcoming population. Currently, the city of Redmond Washington enjoys a diverse, vibrant and growing economic base, and is home to some of the worldly renowned hi-tech firms like Microsoft, Honeywell, Nintendo of America, and General Dynamics Airborne Electronic Systems.